So glad to see you feature THE staple of life. 5 cleavers. 5 cleavers, and did I say 5 cleavers. Just to be sure, 5 cleavers! Thanks, Angie. I'd love to! Sully, it is such an honor to get 5 cleavers! Jean, I feel like I'm in one of the few places in the northern hemisphere which is not crumpling under unbearable heat this month! Nonetheless, the ice cream looks absolutely delicious. What a great reminder to make some. Thanks, Pauline. It's kind of fun to make! May your comfortable weather continue! It sounds like the perfect summertime treat, Jean! I could go for a bowl right now. Thank you for the recipe. Thanks, Kitty. Looks like a fun one for you and Cissy! I do remember Fudge Ripple Ice Cream at grandma's house. It was so good on a hot summer day (like today). Your recipe looks fantastic. Thank you for sharing at To Grandma's House We Go. Thank you, MRT. I hope you'll try it before summer's through and let me know how you liked it! Be still, my heart. Alas, no ice cream maker but oh, I know who I'm sending this post to! Oh my this looks like the perfect summer treat. There is nothing I love more than ice cream. Thanks! This looks soooo good, Jean! I've never made my own ice cream (I know!) so I never realized that there's cooking involved in some recipes? I love hot fudge so much that I'd probably pour more over the ice cream. That looks so very fine. I'm definitely in need of ices this summer (although it's raining and cooler today and I couldn't be more pleased) and I love the thought of adding fudge ripple. I only have a ridiculously cheap ice cream maker but I suppose I am a ridiculously cheap person so it's quite appropriate. It looks and sounds delicious1 Thanks for sharing the recipe. Thanks, Margie! Yes, if you look under Desserts on my Recipes index page, you'll find lots of the ice cream recipes I've developed, and some are the cooked custard base type and some are the simple uncooked type like this one. I hope you'll try it! Phil, ridiculously cheap ice cream makers can get the job done! :D I hope you'll try this and let me know how it turned out. I'm so jealous of your weather! Cathy, thank you. And it's lots of fun to make! Bonnie, thank you so much. Ice cream really is the perfect dessert in this weather! What a great recipe, I have to make it soon . Thanks for sharing. Thanks, Gerlinde! I'll be making it again next week. Thanks, Lea Ann, that sounds like a fine idea--it's going to be another hot one! Your ice cream looks so delicious! I must confess I've never made ice cream. Does it really taste better than store bought? My fav is French Vanilla and it does cool me down on a hot day. Thank you for sharing your yummy recipe. Thanks, Denise. Let me know how you like it. Karen, thank you. Yes, I think it tastes better. But more important, I have complete control of the ingredients. I use all organic ingredients and no weird additives to "improve" it. Thanks for stopping by my blog and leaving some comments. Thanks, Bill. Your photos are beautiful! You're killing me Jean! It's 107° outside right now and this looks SO DANG GOOD! I'm going to have to put the freezer insert back into the freezer once agin. Thanks, Richard. This heat is totally wrecking me! And I can't make another batch of ice cream till I can muster up the energy to go to the store to buy more cream! "Cuisinart ICE-21 Frozen Yogurt-Ice Cream-Sorbet Maker, or, Cuisinart ICE-100 Frozen Yogurt-Ice Cream-Sorbet Maker,"
Blimey, Jean they have really catchy names!! Ha! Ha! Tongue twisters come to mind. Try and say that little lot, quickly, after a couple of glasses of wine. We had our heatwave broken by some loud thunder , flashes of lightening and some heavy rain yesterday. We have had four months of temperatures touching 30 degrees most days and even getting to 35 degrees. Some of my favourite shrubs in our garden look as though they have died. The grass on our back lawn is yellow! Come on the rain!!!!!! The weather has stabilised at abut 20 degrees, the temperature we usually get here in the Summer. I hope this doesn't happen every year. I hope you get rain soon too! Following the news you lot really need rain!! YOUR ICE CREAM SOUNDS AND LOOKS WONDERFUL. Thank you, Tony. AND for the weather report--that is some crazy weather in your part of the world! I hope the heatwave is indeed broken and that your garden has no permanent damage. What a perfect summer treat! And the fudge sauce by itself is a wonderful recipe to have! 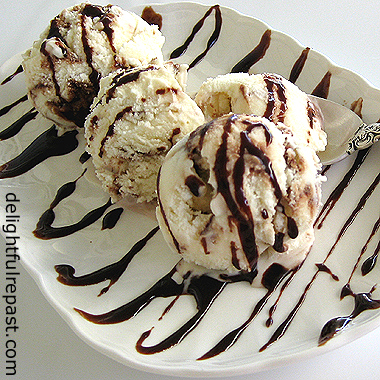 I love fudge ripple ice cream, and this recipe sounds amazing! 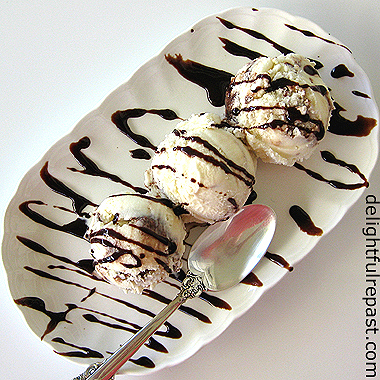 I really like homemade ice creams as the ingredients are much healthier and it always tastes best. You are tempting me to buy an ice cream machine again, Jean! 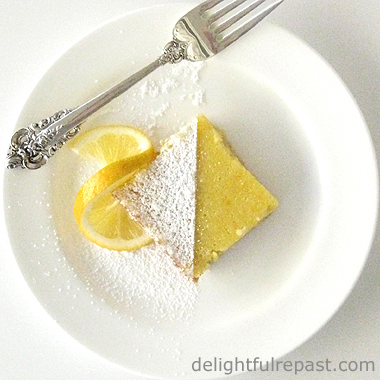 Thank you so much for bringing this recipe to Hearth and Soul. Sharing, including on the H&S FB page. ! Hope you are having a lovely weekend! Thank you so much, April! You definitely need to buy an ice cream maker again--especially if this weather is going to keep up! Especially in this weather! Thanks, Kinga. Jean, the best summer treat is ice cream. We make it the old fashion way. The recipe sounds amazing and it looks delicious. Thanks for sharing! Looks just right and refreshing! Pam, thank you. I remember we got a wooden (but electric, not hand-cranked) ice cream maker as a wedding gift years ago. It was a lot of fun! Thanks, Ellen. I need to make another batch before the weekend. The heat continues! Jann, thank you AND TY for SYC! Fudge ripple! I haven't had fudge ripple ice cream in decades! Totally forgot it existed. How could I when I used to love it so? Great (and fun!) recipe -- thanks. Thank you, John. Yes, it IS fun! Thanks, Mum! And *please* get it out of the box--you're going to have such fun with it! Jean, that looks incredible! I do have the rock salt type of ice cream maker and gained ten pounds one summer trying all sorts of gelato recipes. Lol The extra ten pounds is gone now, but the memory of that delicious gelato remains. Maybe I'll throw caution to the wind and try this!